There is no single supplement for the Basic Homestay at Ba Be Lake, participants will be housed in a communal sleeping area. 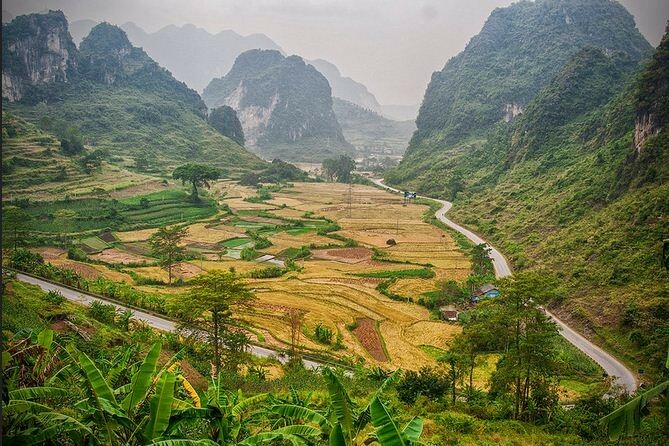 This tour requires long travelling hours by car to the mountainous regions of North Vietnam, bordering China. Participants will experience motion sickness and toilet breaks are far and few in-between. Sleeping hours are also limited due to early morning and night shoots (Astrophotography). Day 1 (D) - Arrive Hanoi. Transfer to Ban Gioc Waterfalls (8 hrs), arriving by midnight. After checking into our hotel, we proceed for our nightshoot at the waterfalls. Overnight in comfortable waterfalls resort. Day 2 (B,L,D) - This morning is spent photographing the splendour of this mesmerizing waterfalls before the tour groups arrive. Check-out by 1100 hrs and depart towards Ba Be Lake. Here we photograph the local Tay tribe women rowing the sampans along the shore in evening light. Overnight in Basic guesthouse. Day 3 (B,L,D) - Morning boat ride on the calm waters of Ba Be lake to photograph the serenity and beauty of this magical lake. After lunch, transfer back to Hanoi. Overnight in comfortable 3-star hotel. Day 4 (B) - The day is free and easy before our transfer to the airport for our return flight back to Singapore. - 3N accommodation in comfortable 3-star hotels and Basic Homestay.